A lot of things can cause the need for drain cleaning. The best way to avoid having to pay for a drain cleaning is to practice behaviors that limit the risk of clogs. As a home ages things naturally start falling apart and require greater upkeep. The exterior will need to be repainted and the roof may need to be replaced. From time to time it will become necessary to replace a broken or inefficient washing machine or perhaps a leaky refrigerator. 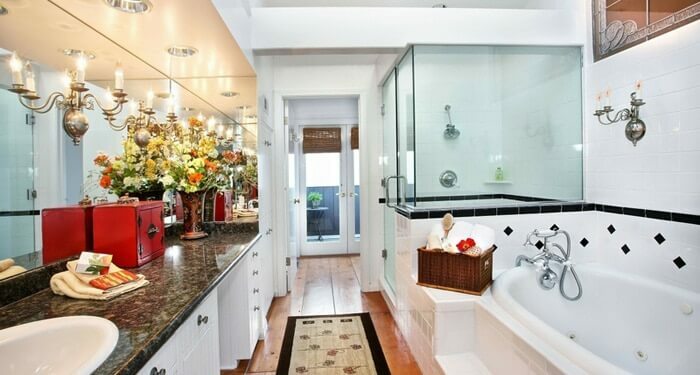 One aspect of upkeep that people don’t always think about is the state of their plumbing. Often we will pour a bottle of clog clearing liquid but that is actually only a temporary fix. What most of us need is a good professional drain cleaning to get things flowing the way they should. Our pipes are a veritable net for the random things we send down their tubes. People pour grease down the kitchen sink. Our daily showers flush hair and soap chips down. Often we flush things down the toilet that should be placed in the garbage can. There are also few people who won’t admit to putting a little too much food through the garbage disposal. Unfortunately the consequence of all of our misconduct is that we end up having back-ups and stoppages that impede the flow of water. Fortunately, a drain cleaning company can come in and correct many of these problems. Of course the best way to reduce the frequency of paying for this kind of service is to exercise a few basic tips. First of all go to the hardware store and by a strainer for both the shower and the kitchen sink. The biggest cause of clogged pipes that need drain cleaning is hair. Hair is incredibly resilient and tends to ball up and last a long time without breaking down. A strainer will catch this while allowing the water to still escape. Then at the end of the shower you can simply clean out the accumulated hair and soap and replace the strainer. In the kitchen many things will slip through that are too big to be go down the pipes but not big enough to get stopped on their way in. That is why having a finer screen to catch bits of food will help reduce clogs. Vegetables will usually break down if they slip through but they will cause a bad odor as they decompose in the plumbing. Meat will dissolve very slowly and will often not even completely disappear as the fat will turn to grease and cause further problems. One thing that a strainer will not help with is people pouring grease down the sink. Drain cleaning companies report that this is the primary cause of clogs and blockages. Because grease does not dissolve in water it accumulates and acts as glue for other things that come down the pipes. It will catch bits of food, paperFeature Articles, hair and other trash that somehow make their way through the plumbing. This causes serious stoppages and leads to a myriad of problems. The best way to prevent the need to call a drain cleaning expert is to make sure that the only thing draining out of your fixtures is water and a small amount of toilet paper. Nothing else should be disposed of through the plumbing unless you have a garbage disposal and even then only small amounts of food should pass through.